The Delhi Times PCJ India Showcase Week kicked off in New Delhi on March 25, 2017 with ace designer Mandira Wirk showcasing her collection in the opening show. 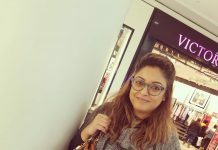 The fashion week will be held at Roseate House, Aerocity, from March 25 to 27 and features the likes of Meena Bazaar, Ritu Beri and Rocky Star aka Rocky S amongst other rising designers. Designer duo Deepa Sondhi and Karishma Sondhi too showcased their beautiful collection, Swarnkatha on Day 2 of Delhi Times PCJ India Showcase Week 2017. Swarnkatha is a melange of gold, teal and deepest shades of blue, inspired by the colors of romance. Deepa and Karishma’s collection features intricate embroideries and textures, it’s a visual narrative of the many moods of a woman and Zarine Khan portrays it majestically. 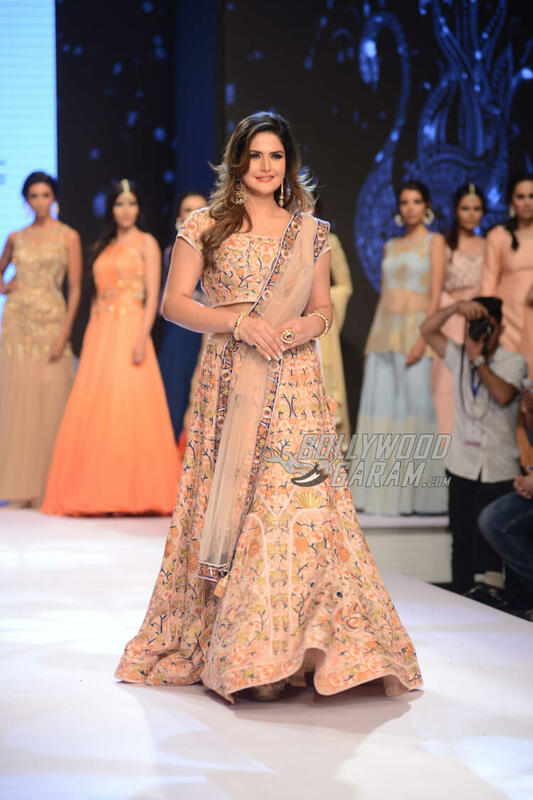 Zarine Khan looked splendid in a floral embroidered lehenga. The beige backdrop provided a perfect blend for the blues, shades of orange and gold to shine out. Her look was completed with traditional jewelry sponsored by PCJ Jewelers. Stay tuned for more updates on latest Indian fashion trends exclusively on Bollywood Garam. Previous articleThe Kapil Sharma Show controversy - After Sunil Grover, Ali Asgar exits?